Maxxsonics is saddened to announce that its Vice President, Ted Henricks, passed away suddenly on Wednesday morning, January 23rd at his home in McHenry, IL. Ted was an incredibly talented co-worker who added so much value to our business, it truly cannot be measured. Maxxsonics is not just a company, it’s a family. It is my family. 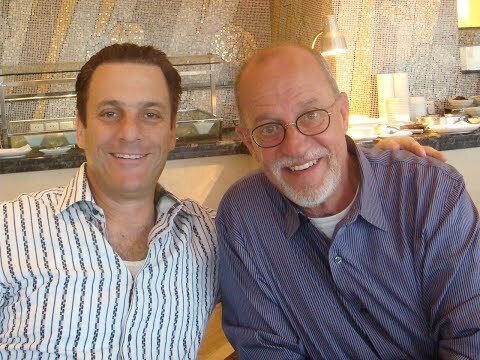 Many of you know Ted was also one of my closest friends; we worked together for nearly 25 years. Ted was the one of us at Maxxsonics who was most in love with the music and the passion that drives our industry. NEVER was his office quiet. Pink Floyd will live on at Maxxsonics forever in our memories of Ted. Ted leaves behind an influential legacy at Maxxsonics along with many great memories for all of us to cherish for the rest of our lives. It is with a very heavy heart that we hear the needle… lift from the vinyl on this incredible man’s life. Ted Henricks was one of the founding members of Maxxsonics in 2001. While Ted held several positions throughout the organization, he never drifted far from his passion of sales and marketing where he served as the company’s Vice President and TREMENDOUS comic. Ted’s career through the consumer electronics industry started in the Midwest with Schaak Electronics, with stops at Blaupunkt, Klipsch and API. He was an alumnus of North Central College in Naperville, IL. A visitation and time for sharing is being planned for Tuesday, January 29th between 4:00 – 8:00pm. For customers and friends that have questions or would like to offer a picture for the Ted Gallery, please send your picture via email to info@maxxsonics.com. To share condolences and memories, please leave a comment below the gallery. Sherman and Ted accepting a MAJOR Award at SEMA.. see it? I want to say thank you to Alden, the entire Maxxsonics family, and Ted’s friends and colleagues for everything they have been doing to honor Ted and to support me, as we ALL deal with this devastating loss. My heart breaks that this is one trip that he just won’t be coming back from. Again, thank you to all who knew and loved Ted, and keep the memories coming. No one knows you better than your childhood friends. If you were lucky enough to have the same friends in your childhood and through your adolescence years you created a number of memories. Some good, some you may not want to remember, but it’s all these times together that bond us. A bond that is never broken as a friend – a true friend, and Ted was, and will always be, my True Friend. Ted was one of a kind. Great mentor in business and in life. I was saddened to hear about Ted’s very sudden passing. By all accounts, he was a very dear part of the Maxxsonics team and I extend my deepest condolences to the folks at Maxxsonics and to Ted’s family. Very Sad my condolences. He was one of the Great People in the Industry. He always went the extra mile for you. Fly on my friend. My condolences to the entire Maxssonics family on the passing of your friend and associate. It was a pleasure working with Ted. Fun memory was when we were having lunch with a customer, he texted me from across the table “are we getting an order?”. That was Ted always having a good time. Will be missed. Im so sorry for your loss you have my condolences, he was a great guy and always brought joy to everyone. He will be missed and his memory will never be forgotten. I knew Ted throughout my long and winding career. He was the marketing manager and basically the ring leader for Blaupunkt in “the day”. We went to multiple European countries and had more good times than a working man should. He orchestrated all of it! Ted gave me opportunites when I should not have had them. Our secret joke was that he borrowed my tie in Germany and still has it. We saw the wall come down in Germany and he gave me countless laughs. I am shocked by his loss and feel an empty part in my heart. WHAT A GUY! WHAT A GUY! Very sad to hear about Ted’s passing. May his memory be a blessing. Condolences to all his friends, family and coworkers from all of us at Nikola Engineering. We will always fondly remember our interactions with Ted. It is truly unbelievable that this world has lost such a great person. My heart and prayers go out toTed’s wife, family and everyone at Maxxsonics. I worked with Ted from the beginning of Maxxsonics in 2001 until 2014 and I can say that Ted was the life-force of the company. When he walked into the room you immediately felt his presence. He was the center of attention at any gathering or company event and was the life of any party. We had a lot of laughs together and I will miss his tremendous sense of humor. He always knew the right thing to say and was a dear friend to me while I worked with him. He had a kind and compassionate soul. I am honored, humbled and thankful to have known him. It is a devasting loss, and he will be sorely missed. I started working in this industry fresh out of high school and have remained here ever since. I have forged a good life for myself and for my family and I can attribute my success from learning lessons from the titans of our industry. Ted was one of those titans. I am glad to say I knew this man and my condolences to his family and everyone at Maxxsonics. What shocking and sad news. I’ve known him for about 33 years and out of all of the people I met in this industry, he was always one of them who stood out from the rest. Very personable, friendly and smart. It’s a real tragedy for all who knew him and especially his family. I am deeply saddened by his loss and I’ll pray for him and his family. My sincerest condolence’s to Ted’s family, I was saddened to hear about his passing. Ted was always a pleasure to work with and will be missed. I was heartbroken when I heard the news. Prayers to his wife, his friends and family and of course his Maxxsonics family. I had the pleasure of working with Ted from 2006-2013. What I remember most was an amazing time on a Florida trip where we flew, drove and stayed together for several days as we presented our products to a large organization. It was when I got to know Ted best, hear some great stories and shared so many laughs. He was so passionate about what he did and the people he worked with. He was firm yet fair, supportive, funny and had such a contagious laugh. Thank you for the memories Ted! So sorry to hear this! My limited time with Ted will be cherished. Judging by the pictures, i’d have to say his smile and attitude was contagious. It is hard to keep this short. Ted was a great Man and loved his music! Best Story for me is when I was helping out building some displays for him and when he came to the shop to check it out he turned into a 10 yr old jamming away in the displays we were making. It is very hard to lose someone like him. Great man with great Passion for what he Loved. He will truly be missed! Godspeed Ted, the consumer tech industry mourns your passing. Our deepest condolences to the Hendricks family and Ted’s extended family at Maxxsonics. I left the miserable climate of Arizona for one reason – Ted talked me into it. What a salesmen. We shared our careers for 7 years. We had many sushi lunches together and we had a few good yelling matches. But, with Ted, you always knew exactly where you stood. Supported, encouraged and challenged to do better and be great. Every day, you hoped that you would hear just one bellowing TREMENDOUS. If you heard it, you knew it would be a good day. I had the privilege to work with his daughter Chelsea for a summer and shared meals and parties at their home. This is a devastating blow to all of us. Good luck on your journey Ted and thank you for all you did for me. It was with a great sense of loss when we heard of this bad news. We wanted to let you know that you have our greatest sympathy and our hearts are truly saddened. Ted was more than just a wonderful person. As the member of Maxxsonics he was always so kind and considerate to us that we always welcomed seeing him at every opportunity. We still vividly remember the scene we have conferencing and discussions together. Please convey our sincere condolences to his family. So very sad to hear about this. My deepest condolences to Ted’s family, friends, and the entire Maxxsonics family as well. Had the pleasure to meet and work with Ted on occasion. A great person.